The good book tells us that the Three Kings traveled in one accord, which must have gotten pretty crowded, what with all the frankincense and such. We three kings, however, traveled in a roomy and stylish Nissan Maxima. In the course of our research, we did come across the fact that “myrrh” is the ancient Aramaic word for “special sauce,” so maybe we have more in common with our kingly predecessors than we realized. However, we came not bearing gifts but seeking one, the gift of a well prepared burger. 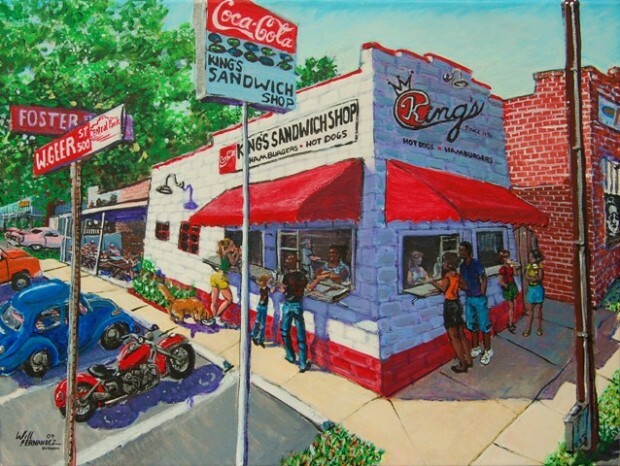 King’s Sandwich Shop has been a Durham institution since 1942. It closed in 2007, but after a long-overdue rehab (and some unnecessary regulatory BS) opened again in 2010 under new owners. The neighborhood near the Durham Athletic Park has seen quite a bit of rehab as well, with Geer St. Garden, Manbites Dog Theater, Fullsteam Brewery and Motorco Music Hall all within a very short walk. 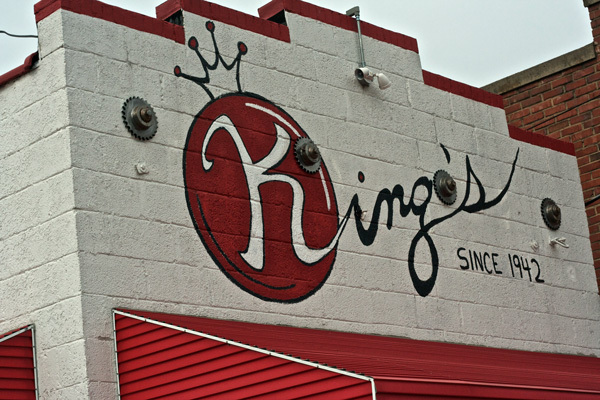 Kings is an archetypal walk-up burger joint with limited outdoor seating. Order at the window in the front, pick up your food at the window on the side. 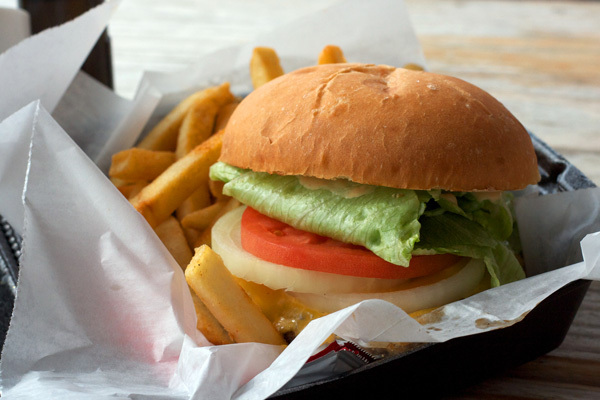 They offer burgers, hot dogs, pulled pork, a reportedly excellent fried shrimp po’boy, and even vegetarian hot dogs and black bean burgers for those whose, um, tastes, run that way. So, yes, you can even take your patchouli-wearing hippie friends and introduce them to some classic Americana. 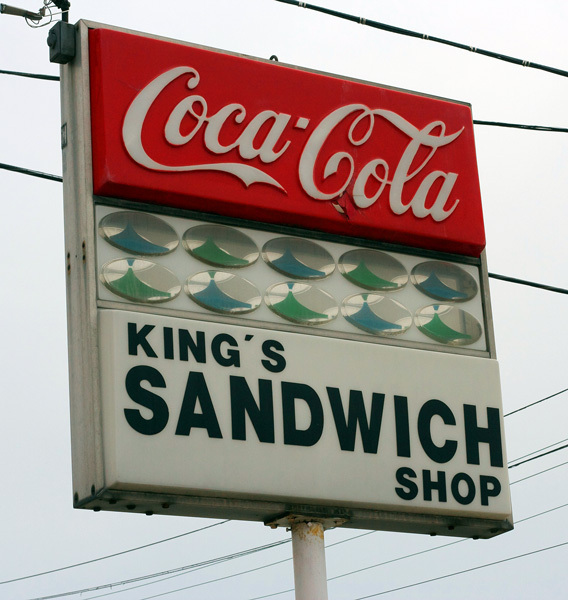 Each of us ordered a variation on the King Burger combo. The Reverend Corey supplemented his burger with a milkshake. We were not disappointed. This was the 1950s on a plate, a flat-top griddled burger with a lightly seared exterior on a butter toasted bun. The flavor was rich and beefy and the patties expertly cooked. The milkshake was excellent as well. 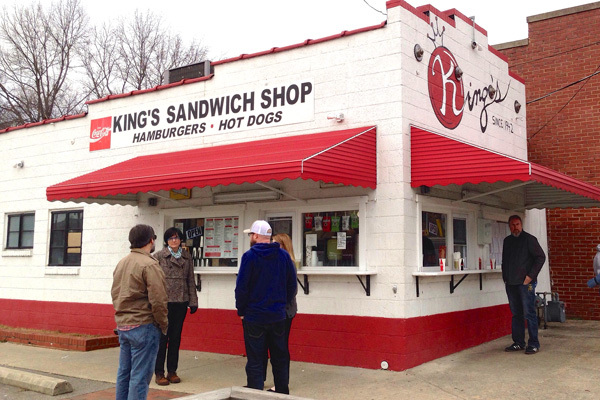 If you like Char-Grill, you’ll love King’s Sandwich Shop.